During his exceptionally eventful eight-year tenure, President Eisenhower was able to stabilize Cold War tensions, end the war in the Korean peninsula, and even create the Interstate Highway System. The secret to his success was largely due to a clever system of his own devising — the Eisenhower Box, also known as the Urgent-Important Matrix. 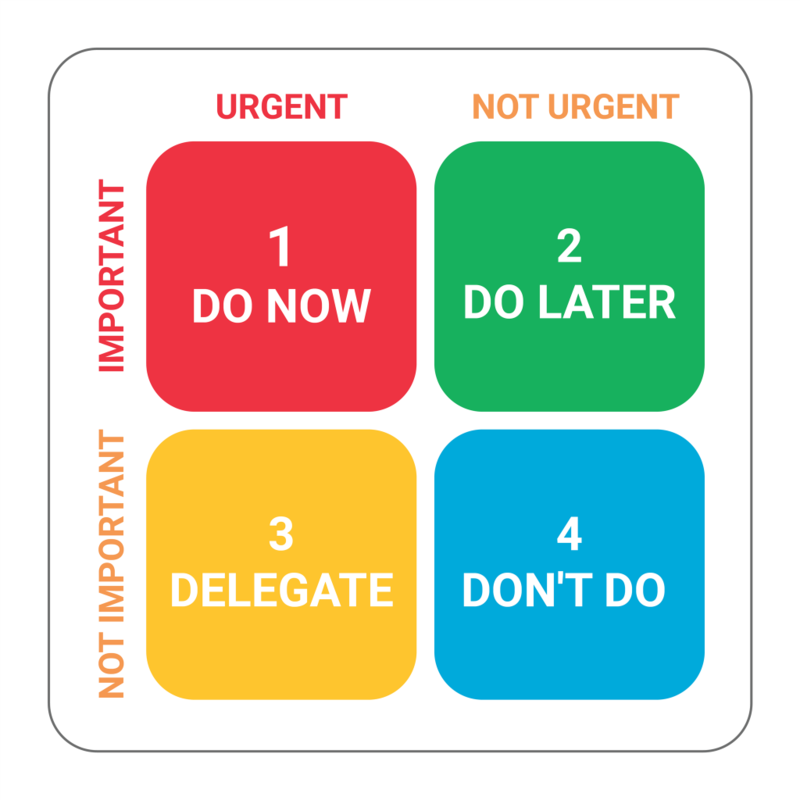 According to Eisenhower, urgent tasks are not important, and important ones are never urgent. This concept is fully realized in his very simple framework, which creates some much-needed structure for chaotic lives and a means to end our ineffective where-to-start thinking. The first quarter should hold projects that are deemed both important and urgent. These tasks are absolutely critical and should be dealt with as soon as possible — failing to do so could produce unintended and far-reaching consequences. An example of a task intended for this first section could be replying to a time-sensitive email from a valued client or finalizing a crucial budget. In the second quarter, we place tasks evaluated as important, but not urgent. While this section will contain projects that have been uniquely judged by each and every individual, a possible example could relate to valuable research that could be useful in improving the quality of one’s work. On a more personal level, quarter 2 could also contain admirable goals such as exercising and spending more time with one’s family. The third quarter is made up of projects that while urgent, are also not important to you personally, and consequently may be assigned to other people. This often pertains to booking certain flights, making specific phone calls, or anything else that you shouldn’t really have to worry about. Finally, the last quarter consists of activities that while certainly tempting and fun, in fact do nothing to contribute towards your goals and ambitions. Mindless pastimes such as watching TV and checking social media both fall into this category, and should be abandoned completely, except for when entirely appropriate. 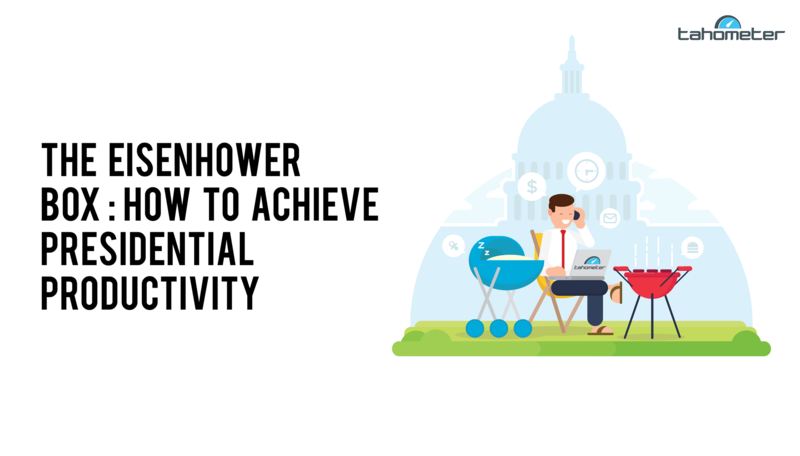 While we may never become as successful as the great Eisenhower once was, odds are that if the president had had a modern time tracking tool like Tahometer, he would have achieved even more than he did in the end. Start by downloading Tahometer today!